Are you ready for David Gray?? It’s been a decade since the release of his phenomenal, record-breaking album “White Ladder.” Now the master songwriter has returned with an all-new album and a North American tour. He’s coming to Salt Lake City on Tuesday 18th June 2019 – make sure you’re there! 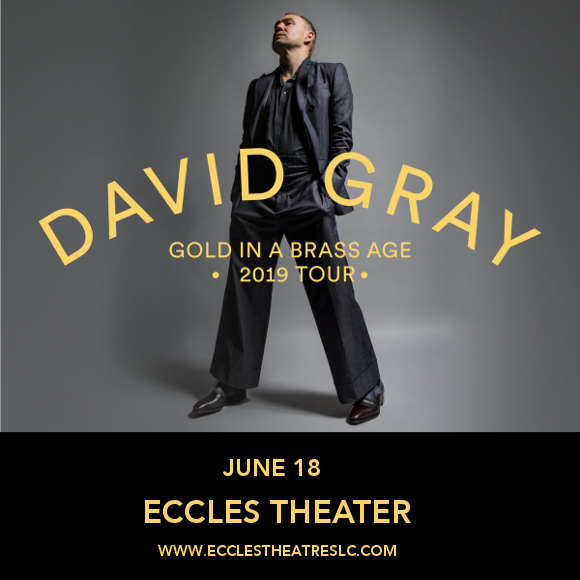 Grab your tickets now and get ready for the David Gray experience live at the Eccles Theater! Listen to the first single from the upcoming album, “Sapling,” below – but don’t wait about too long to get tickets, they won’t last! !